There is at least 3 artists using this name: 1) Sorcerer is a one man (Daniel Saxon Judd) space disco outfit from California with releases out on Tirk recordings. 2) Sorcerer is an epic modern thrash/groove metal band from Poland (Kielce), focused on propagating unique Slavonic musical vision. 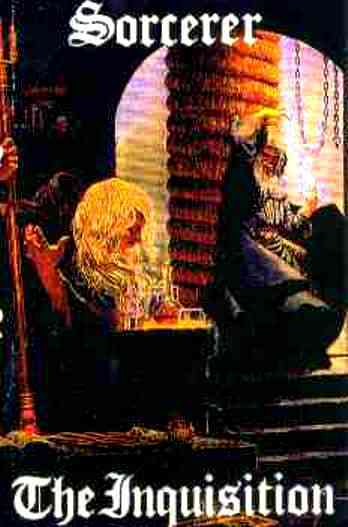 3) And also there is a Swedish Sorcerer before the Polish one started. One of the very first heavier metal bands from Sweden. Sorcerer was a doom metal band that was formed in 1984 but it took them till 1988 to get their first demo recorded. A second was released in 1992. In 1995 a full-length CD was released - yet with a load of tracks from their 1992 demo. A vinyl piece saw the light early 2004 with the Inquisitor demo and two bonustracks, this release was limited to 700 copies only.